While for some artificial intelligence may be a thing of science fiction, it could soon have a real world impact. 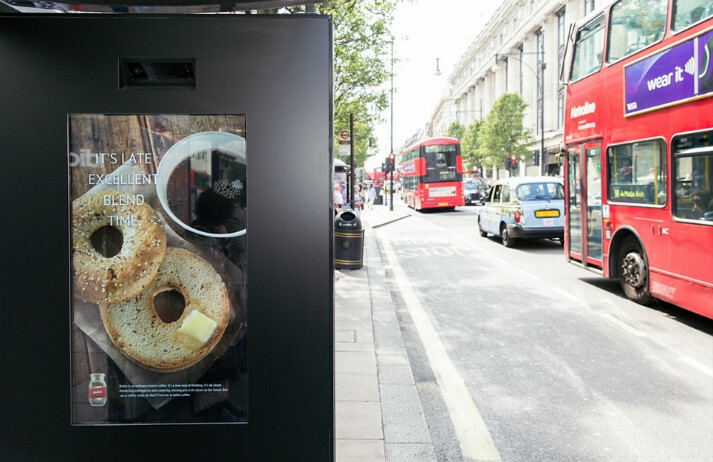 In partnership with Clear Channel and Posterscope, M&C Saatchi has revealed what it dubs as "the first ever artificially intelligent poster campaign in the world." Unless you’re on two wheels or own a Smart car, parallel parking in the city can be a nightmare. But, in Germany, a new billboard is guiding drivers expertly into their spots. Created for Fiat by ad agency Leo Burnett, the poster has made parallel parking a whole lot easier. Billboards are getting smarter as brands integrate interactive features into their adverts. But often the most effective adverts don't require a passerby to do anything but look at them. This was the thinking behind a Women's Aid's billboard campaign depicting a bruised woman. With everyone's attention held by smartphones, static print billboards aren't enough to persuade people to look up. So brands like Beck's are creating immersive, interactive and intriguing ads – like the world's first 'playable poster' that shows the brand's dedication to music.